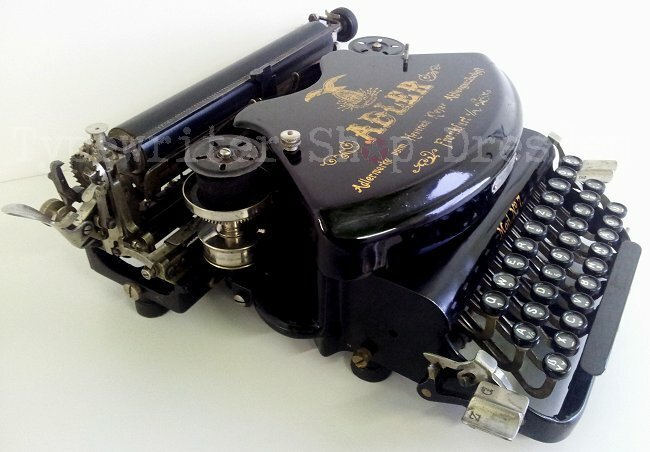 Amazing rare machine in middle-rate condition. 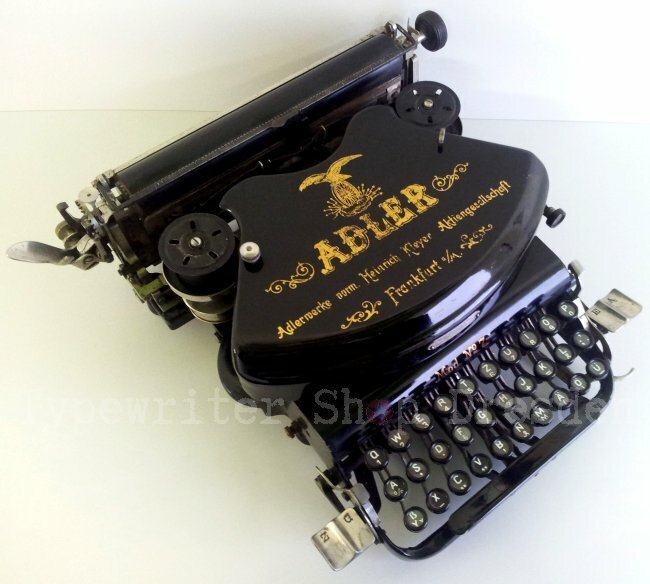 It has a noble black glossy finish with hamornising golden decals. 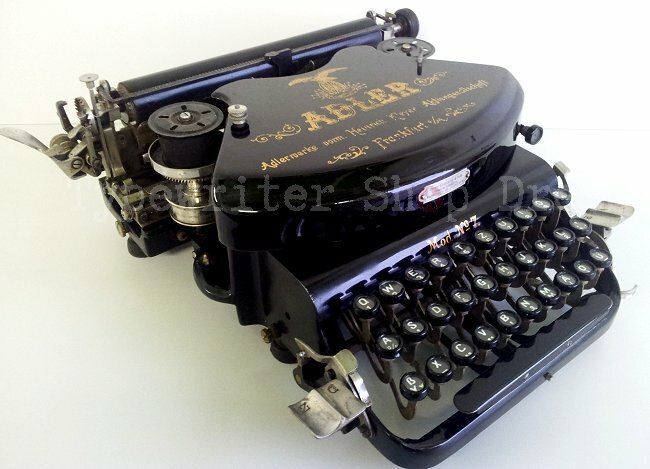 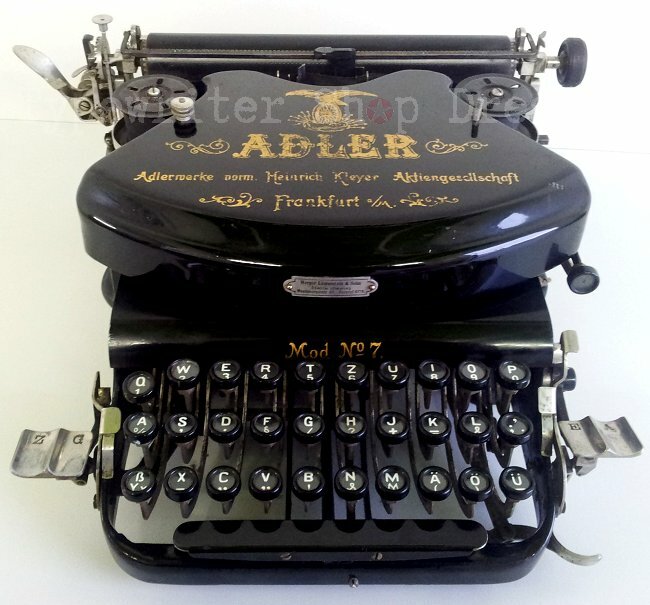 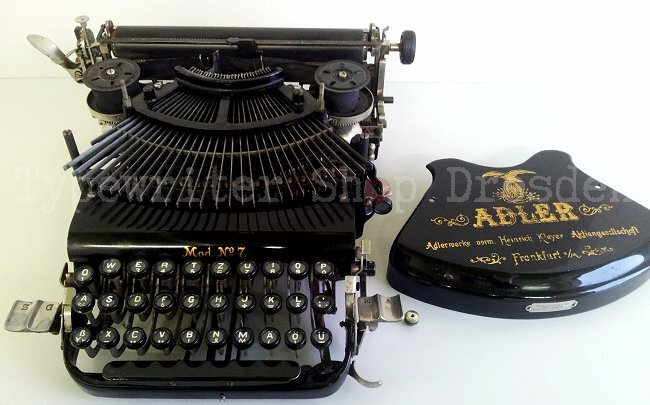 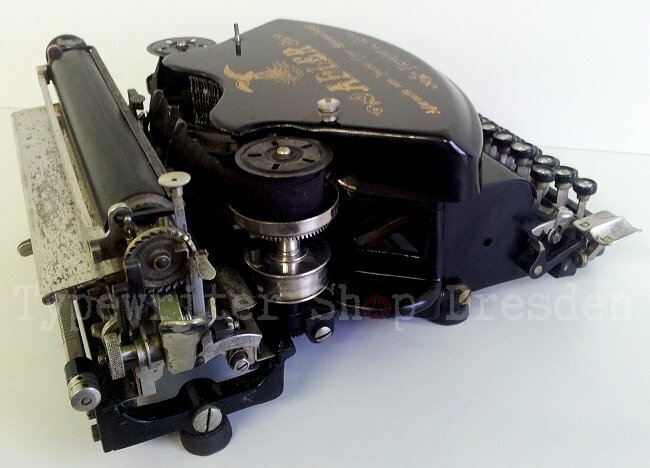 This rare german vintage typewriter is not in functional condition, the carriage don´t move left/ right. 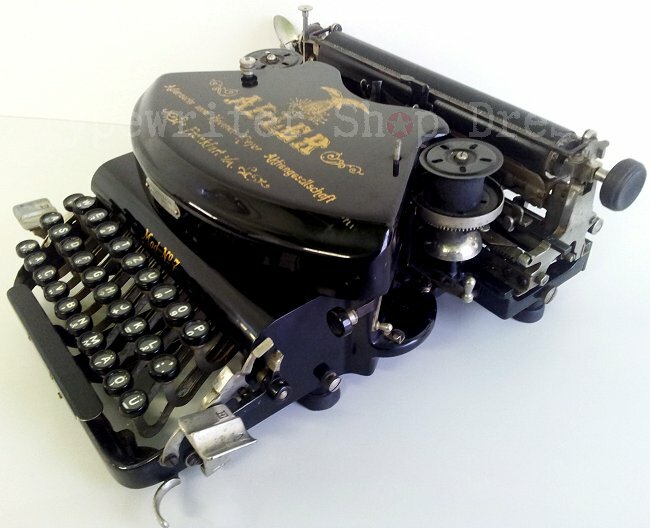 It has minor wear, chrome/ nickel damages and some parts has get a little bit rusty. 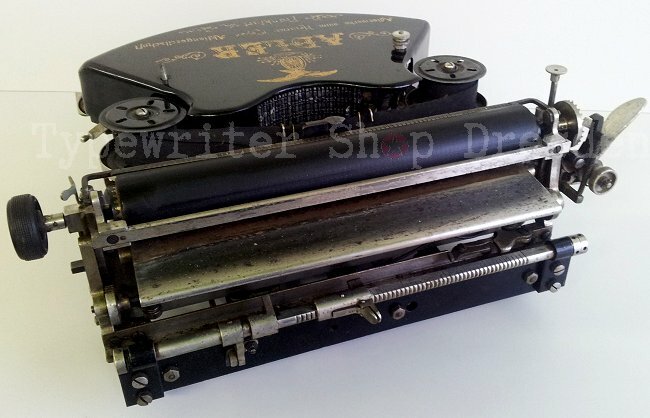 This typewriter is for restauration or perhaps decoration only.